Infamous for the; not so scientific but highly regarded “Yasso 800’s” a system of training and means for predicting a runners marathon finish time. Yasso won the U.S. National Biathlon Long Course Championship and won the Smoky Mountain Marathon in 1998. 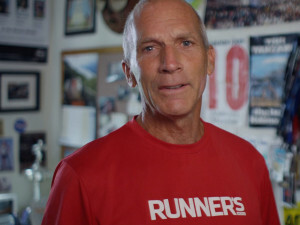 He has also completed the Ironman five times and the Badwater Ultramarathon through Death Valley.